I said that I would write to you both; with a proper thank you after we returned from our eight-day trip on Thursday. This is that email. Thank you from both Ray and me for your professionalism and expertise. Because of your experience, local knowledge and patience, we had a fantastic trip. 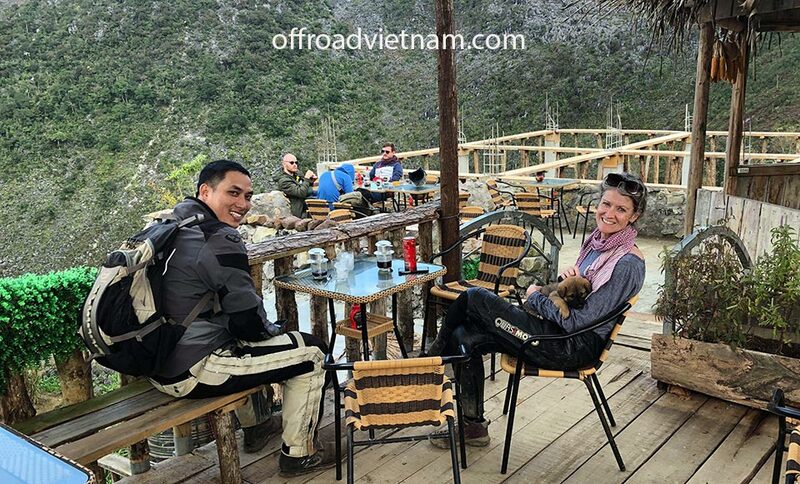 Both of us have been coming to Vietnam often since our first visit in 2006 and we can honestly say that we saw and experienced more in the eight days with Thon, on your great bikes, than we have seen in all previous visits. We saw a Vietnam that we had only dreamed of and the reality is so much better than any imaginings. 1. Your bikes – safe, comfortable and perfect for all conditions. 2. Thon’s local knowledge and arrangements. 3. Thon’s thoughtfulness and preparations. 4. Thon’s ability to know exactly what was needed, and when. For example, producing perfect food always and even producing a puppy to play with when needed. 5. The patience shown by Thon when I kept falling off! 6. The small things that Thon does to make everything so easy for us – turning my bike around and strapping on my gear each morning. 7. Thon’s willingness to make his friends our friends in each town. 8. The videos and photos that we now have from you. The perfect experience that we had while on the trip is because you operate this great business. It’s a business model that works because of your strategy and your operations and because of your relationship building skills. We will continue to recommend your business and if there is anywhere that you would like us to place a review, or to write recommendations, please advise me where you would like me to place the reviews. Or, if there is anything else that we can do for you; please ask. Finally, if you ever want to visit New Zealand, please let us know. If you can get yourselves to NZ, we will take care of the rest.